Thank you for bringing new opportunities and offering support and for helping me release and heal my past. Fill me with trust as I experience these life changes. 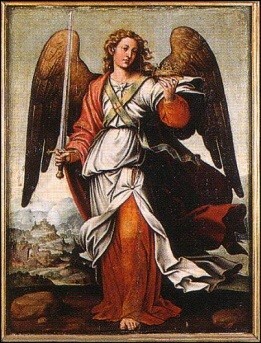 Michael the Archangel stands at the sunrise. Our sunrise. The dawn of our new day. Arms opened to embrace, fearlessly, all that comes his way. Behind him, the sky is alive with movement as the dark skies dissipate and the new world is formed. Not just any new world — but one borne of desire and intent as portrayed by his posture. A world of purpose, for he leans into it. Still, while this all looks good for Michael … where are we? As always with the angels, they lead us, guide us and protect us. Hidden a bit behind his flowing robes, pulled forward by his courage, we find ourselves where we need to be. Michael, always our protector, leads us into our new beginning. The New Year. 2017. The time when we traditionally pause for a moment– or many moments — to not only reflect but to look ahead. We make our resolutions. It is an absolute fact — trite as the expression may be! — that each day is the first day of the rest of your life. We don’t need a new year to take a deep breath and make some changes. Still, it sure helps to motivate us in that direction. In selecting the card for this month’s reading, a card that would reflect being “new”, I had several to choose from including a beautiful image of an angel high atop a mountain looking down on a twinkling city. Her knees pulled up, her arms wrapped around them, she tips her head in gentle thought. Lights in the city windows below speak to the many opportunities that we will have in the coming weeks and months. Doors to the different houses in the village remind us of the many choices that we have ahead of us. That angel appeared serene and balanced. After some deliberation (and an extraordinary amount of time unloading the dishwasher), it occurred to me that, well, most of us don’t sit quietly, heart open, allowing the new year to wash over us, bringing change. Most of us white-knuckle it. There’s a lot of wincing. A lot of rapid blinking. Change is difficult enough but when you are the one driving it, inviting it — whoa! “I’m going to lose 50 pounds.” “I’m going back to school.” “I’m changing careers.” “I’m going to find the love of my life.” Daunting. Even overwhelming. But what, I thought, if we “loaded” our year like we did the damnable dishwasher: One piece at a time. Think Small: Don’t worry about the 30 pounds. Think about the two lattes a day and trim those down to one. Want to become more charitable in the new year but wondering if finances will let you? Well, maybe you will get that promotion and if you do then you can donate to … Why not just make the choice to smile at one person, unsolicited, every day. Donate you. Whether you do it with that simple smile or by volunteering at your local library, you would be amazed how great you will feel, how many activities are there for you and how much you have to offer. You never know – you may end up meeting the love of your like-minded life! Load the Top Rack. Choose important changes. They aren’t always the easy ones to identify. 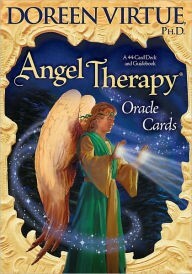 Spend some quiet time with Archangel Uriel. Uriel is often seen pictured with a scroll for he is known as the scholar. Wise and discerning, Uriel will sit with us as we make our list; we’ll feel his gentle prompts as we strive to determine our best new direction. Whether that direction is brand new or whether we nearly need to tweak our already well designed course, Uriel will help to guide us. Archangel Uriel is also often pictured with a flaming sword – one that cuts through misconceptions and misconstrued intentions by others. A flaming sword, wields our Uriel, so to cut through what we believe to be true and provide us with true clarity. 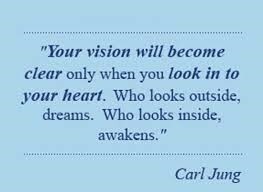 A clarity that is practical in our everyday world and a clarity that allows us to see the bigger picture. Uriel guides us through a process that helps us to grow emotionally as well as spiritually, with recognition that they go hand in hand. Keep it Simple. Lose the If/When clauses from your prayers, intentions and resolutions! We touched on this a bit in our Think Small segment. Keep your intentions simple. No more than a sentence. More than that, and you risk getting caught up in the details. Details, remember, are left to God, the Universe, our angels. They handle the How. It’s when we step outside of our job description that things can get murky pretty quickly. I once heard a comedienne say she always wondered what her dog would say, if he could talk. Then she realized it would be: Throw the ball; throw the ball; throw the ball. And: Throw the ball; throw the ball; throw the ball. We should strive in our intentions to be just that way! We should phrase our desires with perfect, concise clarity. Identify your Target; Hold it Steady. Did you drown your Valentine’s Day sorrows in a second … or third … latte? Yeah. Me, too. Well, mine was more like macaroni and cheese and the accidental shrinking of only my most favorite sweater in the world. But the point is that however we fell from grace, as long as we know our target and hold it steady, we can get back to it immediately. What we don’t want to do is move it around. For example: Well, heck. I’ll just have two lattes every Wednesday from now own. Or maybe Wednesday and Friday. Then only one on Mondays … Don’t do it or you’ll find yourself sitting there every day in front of a big old bowl of mac ‘n’ cheese and … I mean latte … and then you really can’t, or won’t, go back to that target. 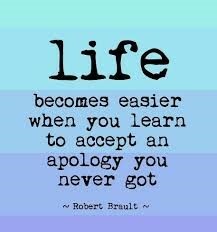 Forgive. Put it on the list. Top, bottom, middle – doesn’t matter. Without Forgiveness on your list, you’ll find that you are pushing that ball-of-change uphill. Carrying the weight of an unforgiving heart is exhausting. Whether it’s family members, ex-friends or lovers, even – or especially – ourselves, asking the angels to help you to forgive, to lighten your heart and bring you peace will allow you to more easily define your goals and see your path more clearly. 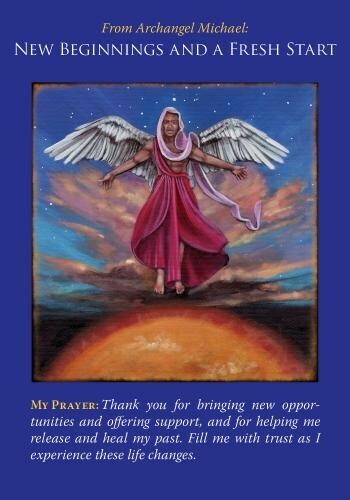 When we approach the angel cards with an open heart, asking for their wisdom and guidance and receive a card that speaks to new beginnings, it’s more than a nudge to consider some changes in your life. It’s a call to be aware that you already stand on that very threshold. The sun is already rising on that new day. “Change,” I believe, is the first cousin to “Trust.” We fear change because we don’t trust ourselves, Life’s process – or both! When this card is drawn not only is it an alert that there are changes right before you but it carries the advice to embrace those changes. Or at the very least walk willingly toward them. When we become part of the process, set our intentions, control what we can control, change is less frightening and overwhelming. 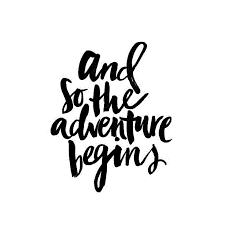 When the opportunity to make that fresh start, to have that new beginning presents itself – as it does each day – it’s important that we are ready. Through reflection on what has passed and insight into what we want to design as our future, the new day need neither be frightening nor daunting – but can be a blank canvas on which we can create the rest of our lives. As this new year opens, may you be granted clarity and courage; may you find protection in the Archangel lMichael’s wings; may you be not frightened, but exhilarated by the racing clouds behind you and the breathtaking beauty of the dawn – your dawn – before you. You are never alone on this Journey. The angels are always, always at your side. And there is little they enjoy more, I think, than when our hearts and souls reach out in joy and anticipation of our road ahead – the celebration of our life. From all of us at bestpsychics.club, may this New Year bring you every blessing! 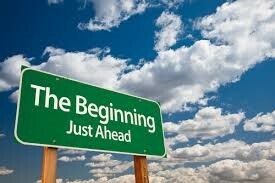 NEW BEGINNINGS and a FRESH START Card is part of Doreen Virtue, Ph.D.’s ANGEL THERAPY Oracle Card collection.